We are happy to announce Future Bodies will have the fantastic Jill Jolley hosting her weekly Kettlercise Class on Monday’s at 9.30am – 10.30am. 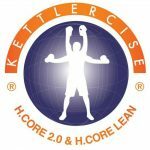 “Kettlercise® is THE single most effective Kettlebell fat burning workout. It’s fun, super quick and super effective! *BANK HOLIDAY MONDAY: THE CLASS WILL BE 10-11AM FOR THIS DAY ONLY. A GREAT BEGINNERS SESSIONS JUST CALL US TO BOOK YOUR SLOT OR HEAD OVER TO OUR FACEBOOK AND POP US A MESSAGE! It uses our specially formulated B.S.M. method…..our own secret formula to maximising calorie burn – destroying fat super quick! Kettlercise® totally destroys the myth surrounding kettlebells. Some websites recommend you start with a 20kg kettlebell (sometimes doubled up)!! Totally outrageous if you ask me and is literally an accident waiting to happen. I’ve read kettlebells being described as ‘brutal’ and effective……………….you don’t have to train with huge kettlebells for it to be effective and that’s why Kettlercise® IS so effective. Never before has it been sooooooooo much fun to exercise with a kettlebell!